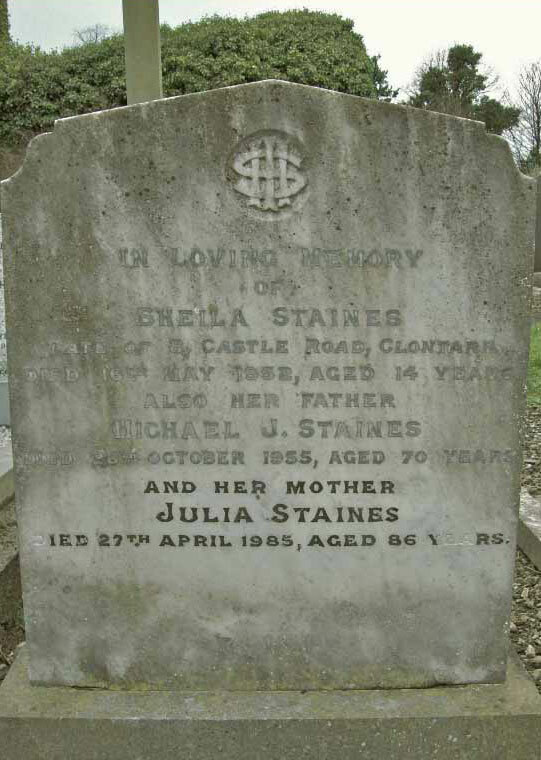 Michael Staines (1885 – 26 October 1955) He was born in Newport, County Mayo his mother Margaret’s home village, and where his father Edward was serving as an Royal Irish Constabulary (RIC) officer. Staines was a member of the Irish Republican Brotherhood (IRB) and on its Supreme Council from 1921 to 1922. Staines took part in the 1916 Easter Rising and served as Quartermaster General in the GPO and was later interned at Frongoch internment camp. The eventual numbers deported to England after the Rising amounted to 2,519 men. These men were held in various prisons for a few weeks. During this time nearly 650 men were released and allowed to return to Ireland leaving 1,863 men who were nearly all interned in Frongoch. These men were served with internment orders under the Defence of the Realm Act, 1914, which stated that they were ‘suspected of having honoured, promoted or assisted an armed insurrection against His Majesty’. This meant that there were no charges, no court appearances and no pleas. Staines was elected Commandant of the prisoners after the former Commandant J.J. O’Connell was sent to Reading jail on 30 June.W.J. Brennan-Whitmore described Staines as: “a highly efficient officer who earned the love and respect of every individual prisoner.”The attempts to conscript men in the Frongoch to the British army proved to be a serious source of disagreement between the prisoners and the guards. The prisoners felt that it was ludicrous to expect Irish rebels to fight for Britain and the Crown. In addition they were concerned that acceptance of conscription in Frongoch might be a prelude to the introduction of conscription in Ireland. Roughly sixty men in Frongoch had lived in Britain before the Rising and they were accordingly deemed liable for conscription. Staines who W.J. Brennan-Whitmore describes as maintaining “a very difficult position with remarkable efficiency and tact” throughout the conscription troubles with took place in Frongoch, took up a very resolute attitude on the question of identification. He asked Colonel F.A. Heygate-Lambert, Camp Commandant, if he expected the Camp leaders to identify comrades of theirs for military service in the British Army. To this Heygate-Lambert replied that it was the leaders’ duty to identify men for all purposes. Staines retorted that by identifying the men for military service they would be lowering themselves to the level of spies and informers. On his release from internment in Frongoch, he collaborated with Éamon de Valera, James Ryan, Eamon Duggan and others in founding the New Ireland Assurance Collecting Society, in furtherance of the Sinn Féin policy of investment of national resources at home in Ireland (1918). He was elected Director for supply for Sinn Féin on 27 October 1917. He was also elected as a Sinn Féin MP for the Dublin St. Michan’s constituency at the 1918 general election. He attended Dáil Éireann, working closely with the legal side of Government, as well as becoming a Dublin alderman. He was re-elected in 1921 and 1922 for the Dublin North–West constituency. He later served in the Free State Seanad. He was on the Grangegorman Mental Hospital Board. He is best remembered as the first commissioner of the Garda Síochána, having to cope with a mutiny by recruits in May 1922. The Staines family continue to be a prominent legal family.